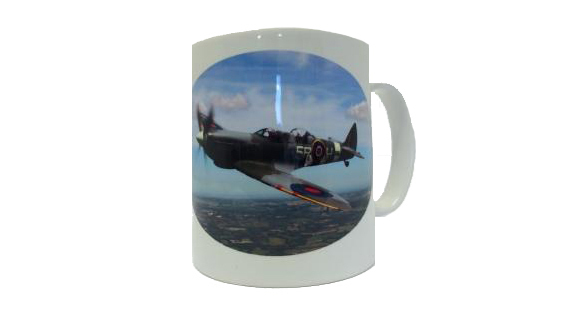 Celebrate the 80th anniversary of the Spitfire test flight in 1936 with this superb tea or coffee mug. Pay homage to the heroes. The Aero Legends Spitfire TR9 Mug design includes TR9 Dual Cockpit Spitfire PV202 and the Aerolegends logo.